The magnitude 6.0 earthquake that struck Napa in the early hours of Sunday morning may not have done much damage, relatively speaking. Yet several wineries reported extensive damage to existing collections of valuable vintages, as well as to winemaking infrastructure such as oak barrels. The result could be that California wines currently in production will rise in price and value, since they will be rare on local and international markets. 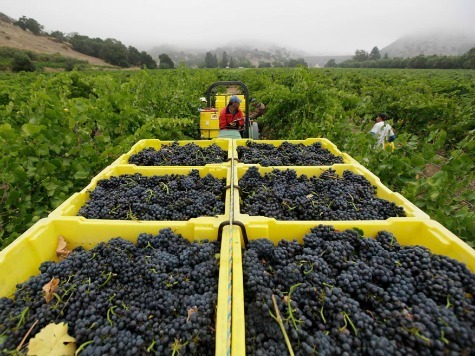 Already, the 2014 harvest has been predicted to be smaller than usual, owing to the severe ongoing drought in California that is causing many grapes to ripen early and forcing farmers to move up their harvests. While stress factors, such as rocky soils and scare water, are often good for the taste of grapes, the 2014 vintage could suffer other defects–or, if the crop is judged successful, see a sharp rise in prices, at least among high-end varietals.